The author claims that the Dancing Girl is Parvati because “where there is Shiva, there should be Shakti”. The iconic ‘Dancing Girl’ of Mohenjodaro is Goddess Parvati, further proof that people of the Indus Valley Civilisation worshipped Shiva, claims a new research paper published in Itihaas, the Hindi journal of the Indian Council of Historical Research. The research paper, titled ‘Vedic Sabhyata Ka Puratatva (Archaeology of Vedic Civilisation)’, authored by Thakur Prasad Verma, a retired professor of Banaras Hindu University, makes a case for the Vedic identity of the Indus Valley Civilisation and reiterates the longstanding claim of Right-leaning historians that Shiva was worshipped by the inhabitants of this civilisation. Verma’s interpretation of the Dancing Girl, dating around 2500 BC, as a Hindu goddess – the first such claim – is in line with this argument. The research paper goes on to say that several artefacts excavated from Mohenjodaro point to Shiva worship in those times. According to Verma, the famous ‘Seal 420’, a seal of a horned figure sitting in yogic posture and surrounded by animals, is strong evidence of Shiva worship. The identity of the figure in the seal has often been the subject of debates. While archaeologist John Marshall in 1931 saw a “prototype of Siva” in this figure, historians have later differed with this interpretation and some have even suggested the figure is of a woman. 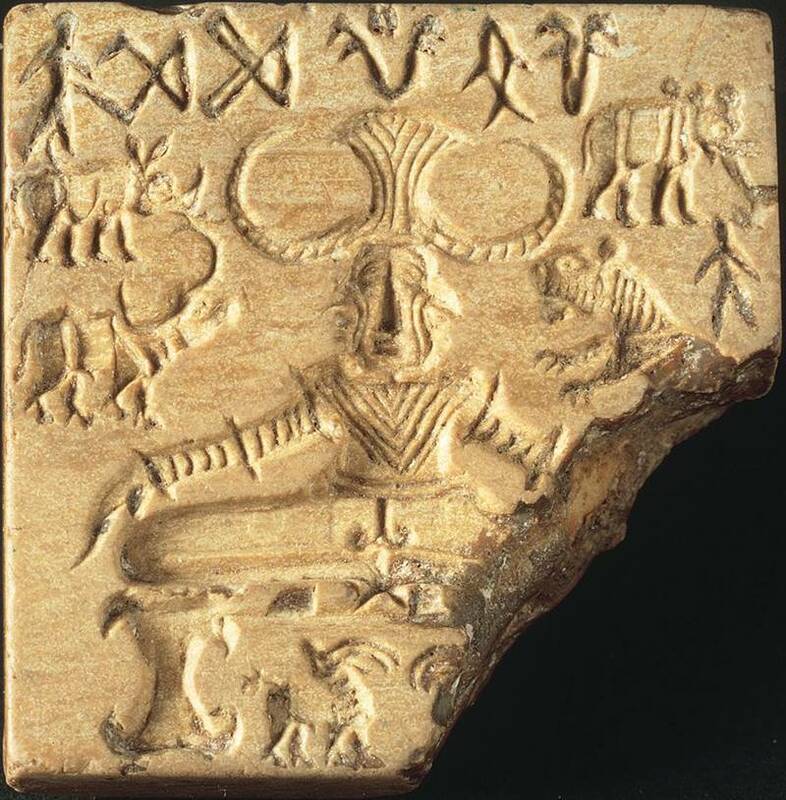 Further, to prove Shiva worship in the Indus Valley Civilisation, Verma states that the trefoil pattern seen on the shawl of the ‘Priest King’, another iconic sculpture excavated from Mohenjodaro, is sign that the king was the follower of a Hindu god. The trefoil pattern, he says, resembles the Vilva or Bilva leaves that are used to worship Shiva today. The author then goes on to claim that the Dancing Girl is Parvati because “where there is Shiva, there should be Shakti”, a manifestation of the Goddess, though “till date, no one has identified any idol or statue of Parvati in Harappan Civilisation”. Historian and Jawaharlal Nehru University professor Supriya Verma said this was the first time anyone had said the Dancing Girl could be Parvati. “Till date, no archaeologist has ever interpreted the ‘Dancing Girl’ as a goddess, let alone Parvati. This particular artefact has always been seen as the sculpture of a young girl. It is difficult to say anything more than that. The elaborate terracotta female figurines were described by Marshall as mother goddesses, although he categorised some of the other terracotta female figurines as either toys or as being associated with magic,” Verma said in an email to The Indian Express. The latest edition of ‘Itihaas’ was released last month. This is the first edition of the journal published during ICHR chairman YS Rao’s tenure. Historian Sachidanand Sahai is the chief editor of the journal.